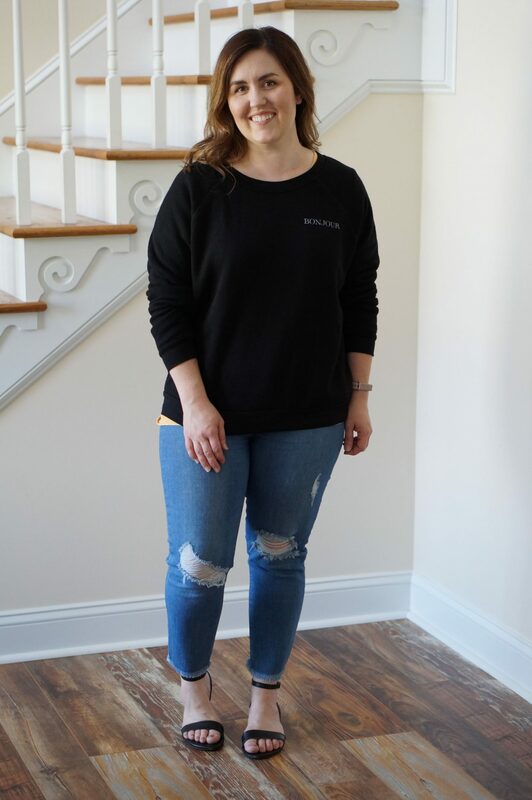 We’re heading into my favorite time of year, and I recently asked my stylist (Nicole) to send me a fall inspired box. 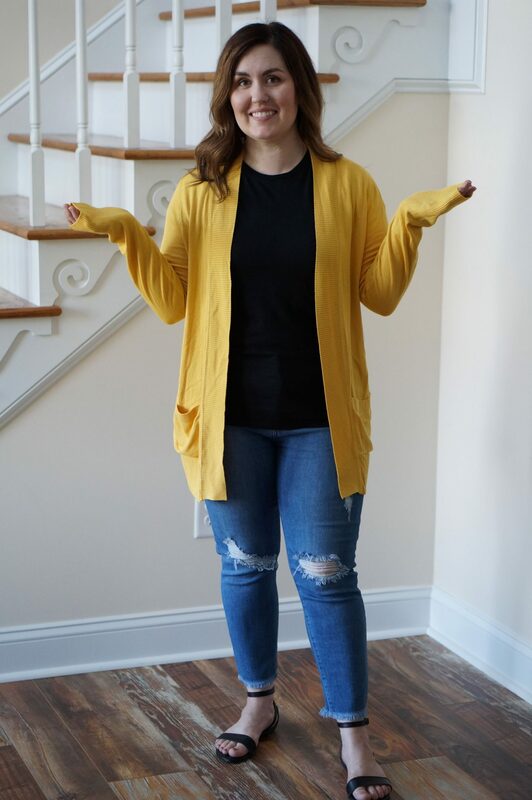 I specifically asked for cardigans, because I need a few new options for the upcoming season. 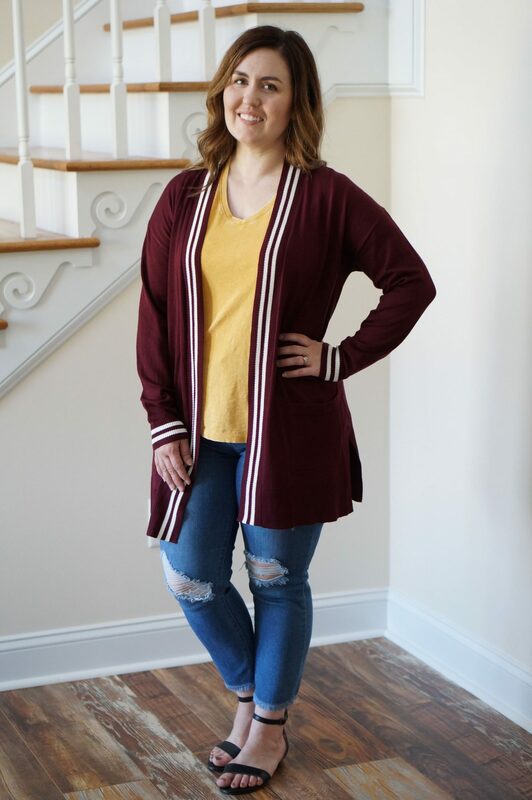 Cardigans are, without a doubt, my favorite pieces in my fall and winter wardrobe. 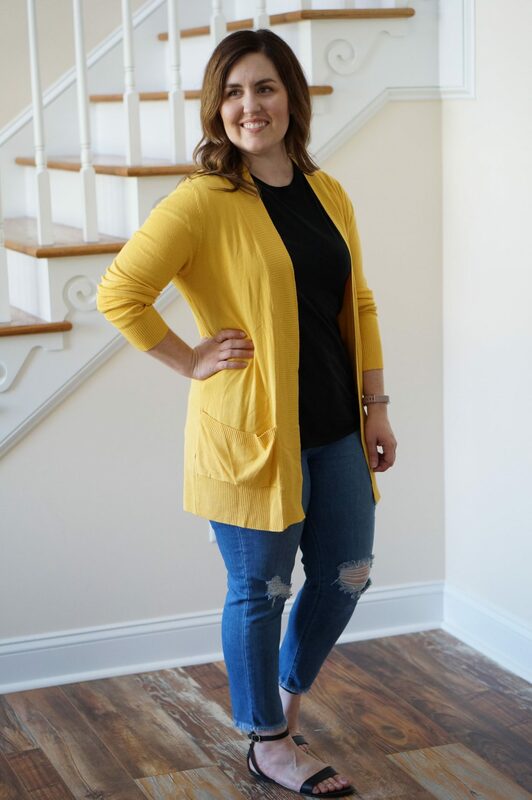 You just can’t have enough cardigan options! I really love what my stylist sent me and, at the time, I had a hard time not keeping all of it. Now that it’s been some time since I received the box and sent back items, I can look back and see that I made the right choice in not keeping everything. So, let’s get into all the items and I’ll explain what I kept/sent back and why. Out of the entire box, this was the item I liked the least. I could see why my stylist sent it to me, because I definitely have more of a preppy style. But, the style is just a little too retro for me. I was very close to keeping it, because I really liked the other four items. Since you get a 25% discount for keeping all five items, keeping the fifth is usually worth it from a financial stand point if you want to keep four. If I’d kept it, I would have exchanged it for a smaller size. In the end, I sent this back. I was surprised to see a sweatshirt in my box, as this is probably the most casual piece I’ve ever been sent. This sweatshirt was extremely comfortable. The inside was so, so soft. 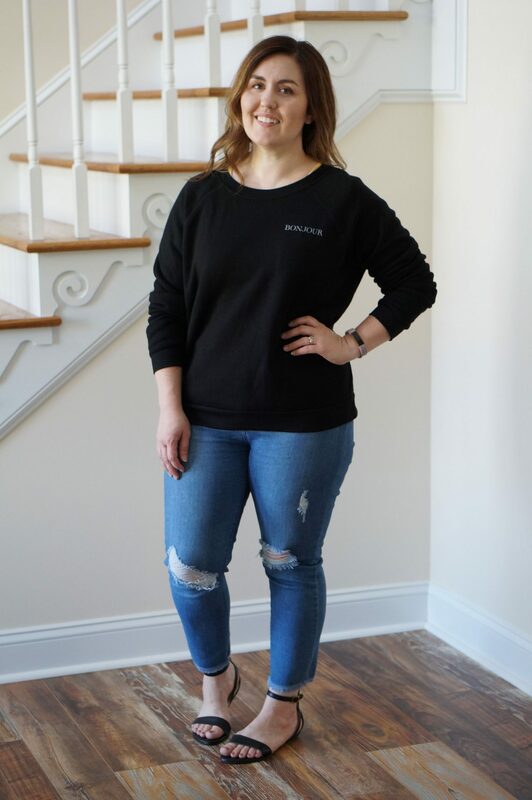 I really liked this, but $54 is a too much for a sweatshirt. I don’t really reach for the two sweatshirts I do own, so this would have been a waste for me. It was really, really hard to send this back, because it was so soft and comfy. 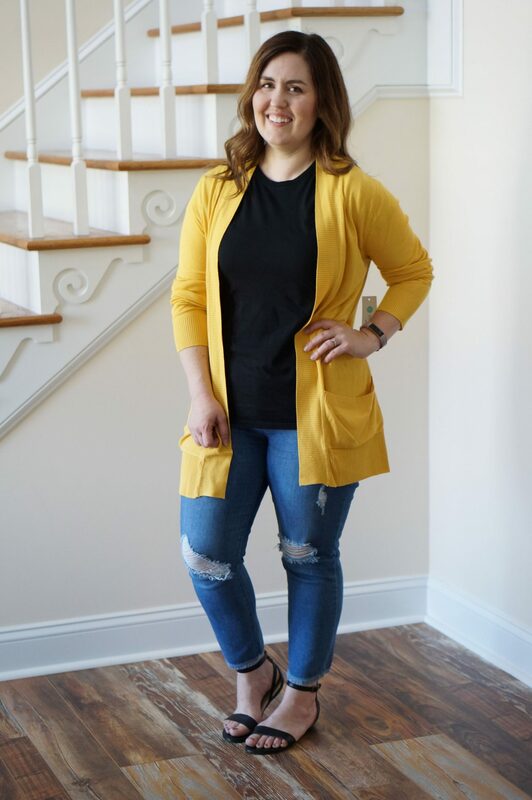 I have been searching for a mustard cardigan for quite a while. This one was perfect, even if it was a little big. I always push my sleeves up, and what makes it even better is the sleeves do stay up. They were just stretchy enough to stay put once I pushed them up on my arms. 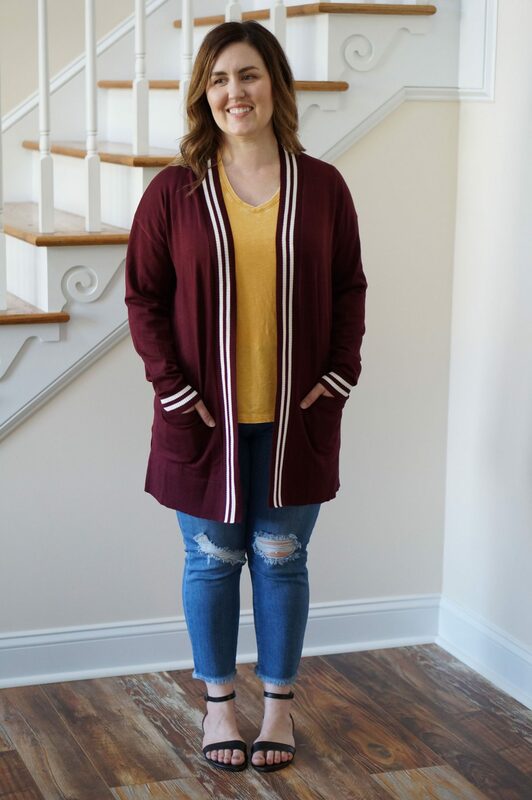 It’s very comfy, and I can’t wait for sweater weather to arrive for good! I kept this one. Another great piece by 41 Hawthorn! 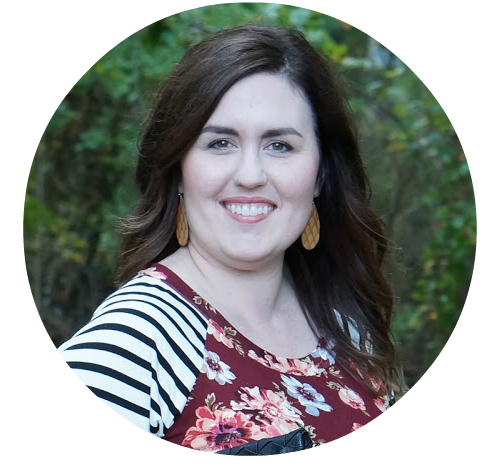 I get one of their pieces in almost every Stitch Fix box. They’re just a really great, casual yet nice brand. I’ve had a top like this in a lighter gray, and I wore it a ton. Once I’d decided to not keep all five pieces, I really needed to keep it to 2 items. So, this got sent back. 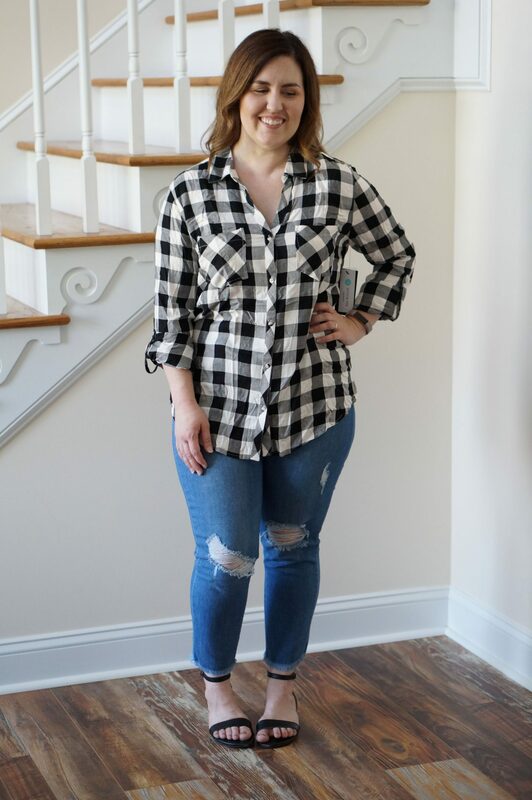 A couple of fixes back, I got a black and white button-up short sleeve top that I loved but it didn’t fit me perfectly. 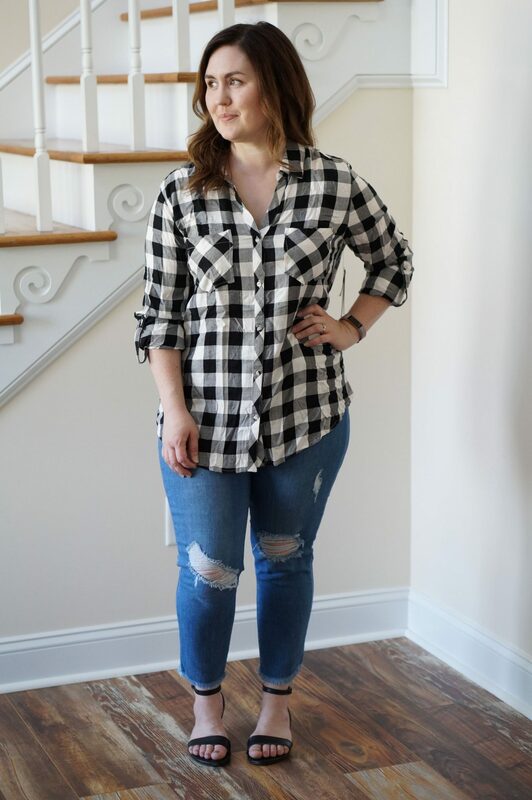 I was disappointed, because I love a classic black and white top. There’s something about them that’s just so crisp and put together. This one fit so much better, so this was definitely a keeper! I’ve worn it a few times and love it. 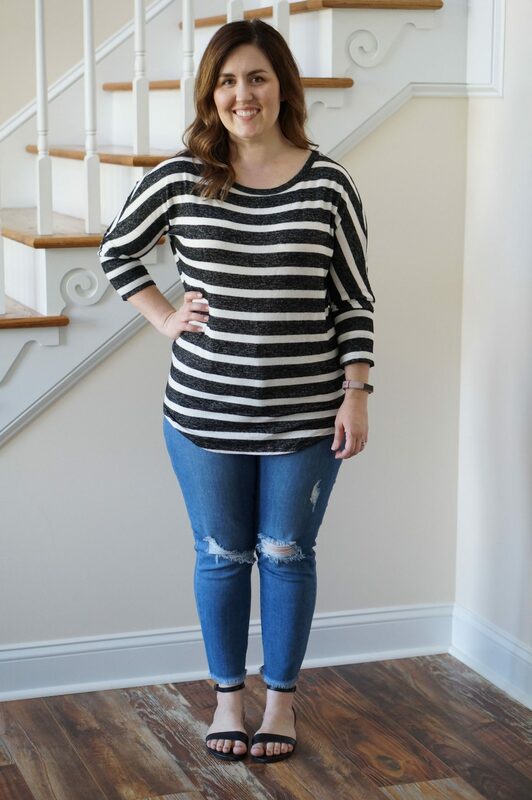 Thanks for reading all about my October Stitch Fix! If you participate in my Instastories poll, thank you so much for your input! 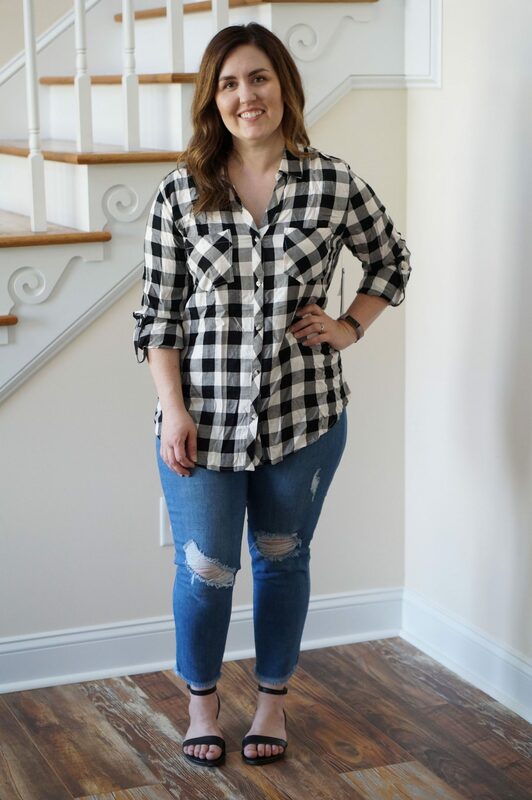 You can sign up for your own Stitch Fix here.